Discover the revolutionary biocognitive approach to personal transformation and wellness. Why do so many popular methods of personal transformation fail despite our efforts and intentions? 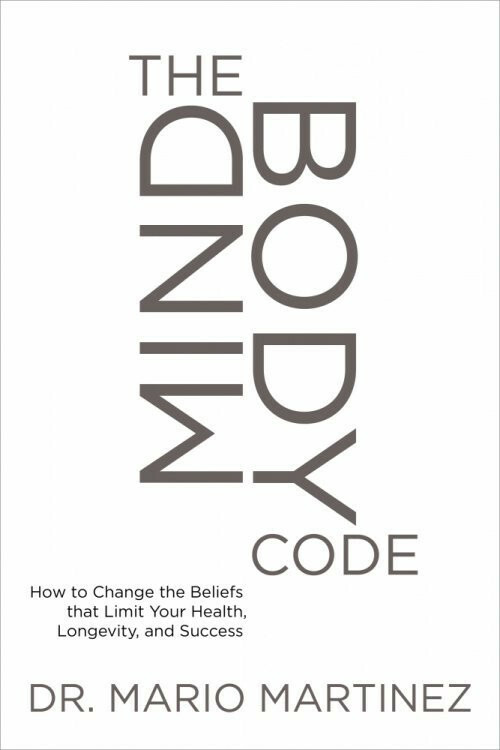 Because they don't address the mindbody code—your body's "operating instructions" for interpreting your world, creating your sense of self, and defining what's really possible for you. The MindBody Code is your key to safely and successfully confronting your fears, disillusionment, and learned helplessness with tools that harness the hope, joy, and unconditional love you hold within. If you have ever made a rational decision to change some behavior but found that no matter how hard you tried, you simply were not successful, then this book could change your life. I’ve known countless people who vowed to change some behavior, had some initial success but eventually fell back into their old habits. If humans were more like computers, we could simply analyze information, and select the best possible outcome from a list of choices. But we are not at all like computers. According to Dr. Martinez, we have been conditioned by our “cultural editors”, our parents, teachers, peers and others of influence in our lives. Based on what we were taught, we assign meaning to events that shape our beliefs. In order to change those experiential meanings, we need to bring them back up, feel the felt meaning and replace those felt meanings with new meanings that will help us move forward with more empowering behaviors. Dr. Martinez’s goal with this book is to teach the reader about biocognitive theory – a term he coined to define his theory of mind-body-culture. The mind and body coemerge within a cultural history to give contextual meaning. That is to say that our culture – what we were taught by our cultural editors coemerge with our mind and body to directly impact our health, longevity and success. Dr. Martinez is a clinical neuropsychologist and has successfully treated thousands of patients. His writing style is to first introduce the theory and then lead the reader through the exercises necessary to implement it. This is not light reading. There are a number of new concepts/ideas that are introduced. In the Glossary, there are 11 pages of definitions. There is also an extensive bibliography of reference materials. This is not pop-psychology but a serious study of the mind/body/cultural connection. The nature and depth of the writing means it will be a little more tedious to read. I find his arguments very compelling. I am not sure that the average reader will be able to read the book and work through the exercises without some guidance. I believe that it will be necessary to not just read the book but to study the concepts, internalize them and put them into action. The exercises involve using a contemplative method to uncover the long held cultural beliefs that are holding you back. This method “shifts awareness from interpreting to witnessing the interpretations.” Dr. Martinez walks the reader through the process of identifying the improper cultural beliefs and substituting them for more healthy ones. I highly recommend this book to any serious student of human behavior. You will find the treatment very fascinating and engaging.